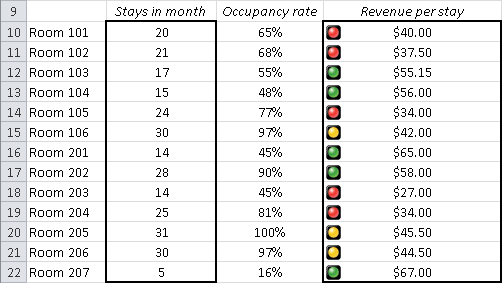 You can insert icons next to the values in the data range using the Conditional Formatting with Icon Sets to show whether the particular value is in the upper, medium or lower range of values. Excel gives you the option to define three, four or five different value ranges and specify threshold values for each range. 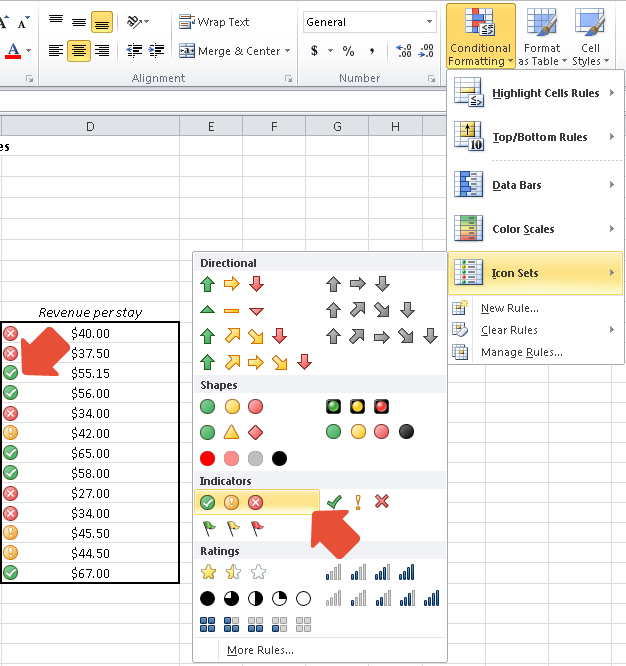 In this learning module “Excel symbols” you will learn how to highlight cells with icon sets and what you have to pay attention to. 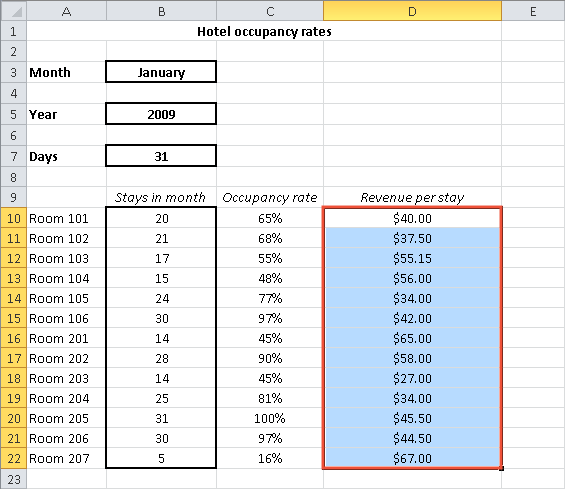 Excel symbols: HOW DOES IT WORK? Icon sets with directional arrow icons that are either colored in red-yellow-green or gray. In the colored arrow section you can also select option 3 Triangles. Depending on the scaling, you can select three, four or five arrows. All values from the value range are matched to their corresponding scale. You can select icons in the shape of traffic lights in the Shapes section. 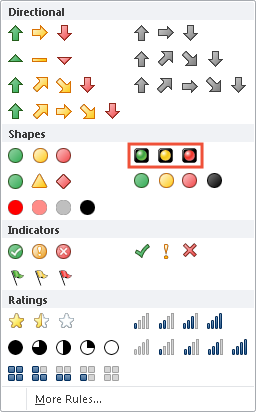 You can select between combinations of three or four icons in red-yellow-green with or without black, with or without border. You can choose between three options in the Indicators section. You can set an encircled or a non-encircled checkmark, exclamation mark or an x. Alternatively, you can also set three flags. Excel also offers the option of analyzing the corresponding cell contents more precisely. 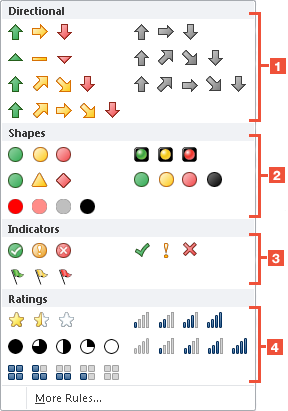 This can be done with a 3-step, 4-step or 5-step scale, or a scale within the analyzing icons. Click the Conditional Formatting button on the Home tab and select the Clear Rules command to delete a Conditional Formatting. Previous Excel versions do not support the Conditional Formatting with Icon Sets. Icons are not displayed when you open the file with a previous Excel version in the compatibility mode.